Disclaimer: I am definitely recommending this method. I do not claim this as my own. I learnt it from Deborah Lippmann so I'll recognise her as the original source. However, the true origin of this amazing 5 minutes method is yet to be discovered. Step one. Gather your equipment. You'd obviously need nail polish remover, I like mine acetone-free. 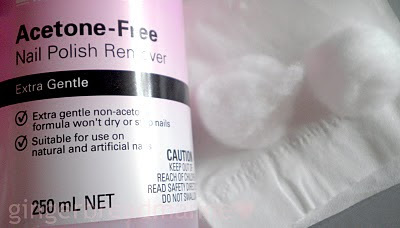 It is purely psychological because as long as you're not consuming acetone, it won't do much harm. You nail polish is actually killing you more than your remover. 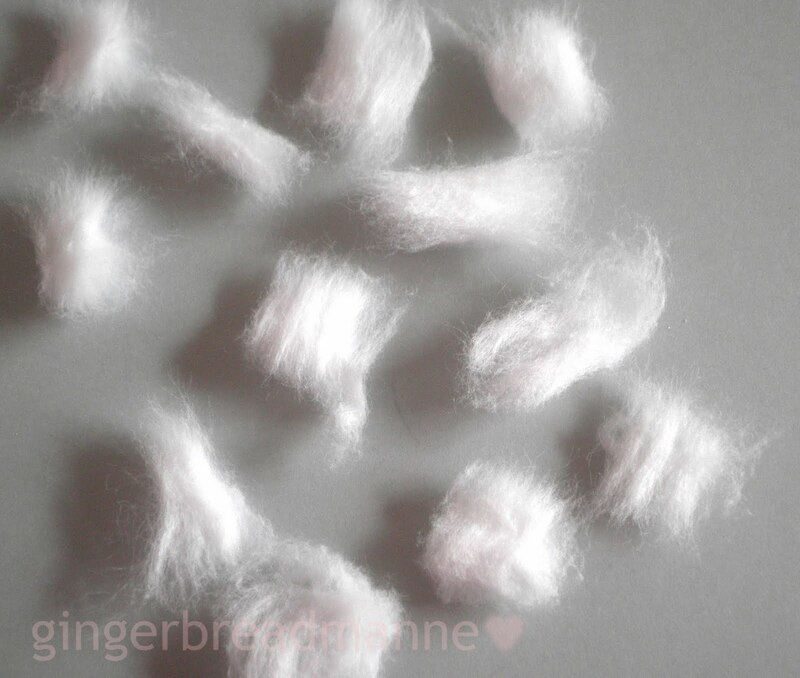 Now that you've gotten your remover, get some cotton balls. They have to be BALLS. Not buds, not tissues, BALLS. Go out and buy a packet if you don't have any. They are so cheap and will last you forever. I only need 1 ball to remove both of my hands. Now grab your ball. They're so fluffy. 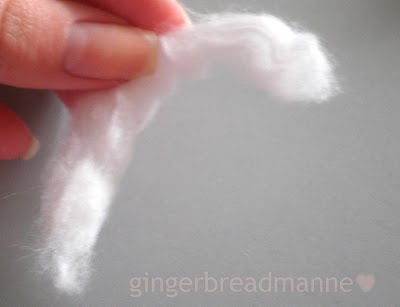 Unravel it into a strip. 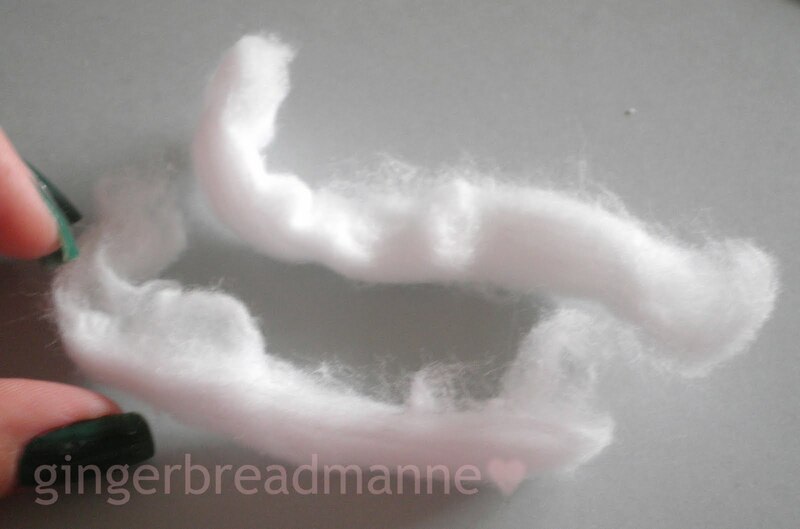 It should come apart easily as the ball itself is produced by ravelling a strip like a snail shell. Split your strip down the middle vertically into 2 strips. I am saving you money! You can continue to split but I like mine with a little bulk. So now tear them into little pieces that are nail-sized. No need to be neat since this is all going to go into the rubbish bin anyway. Keep tearing until you have a lot. I usually have 12-15 pieces. 10 for my nails and the others for wiping and cleaning up any bits of nail polish left behind. Now you have the cotton pieces ready. 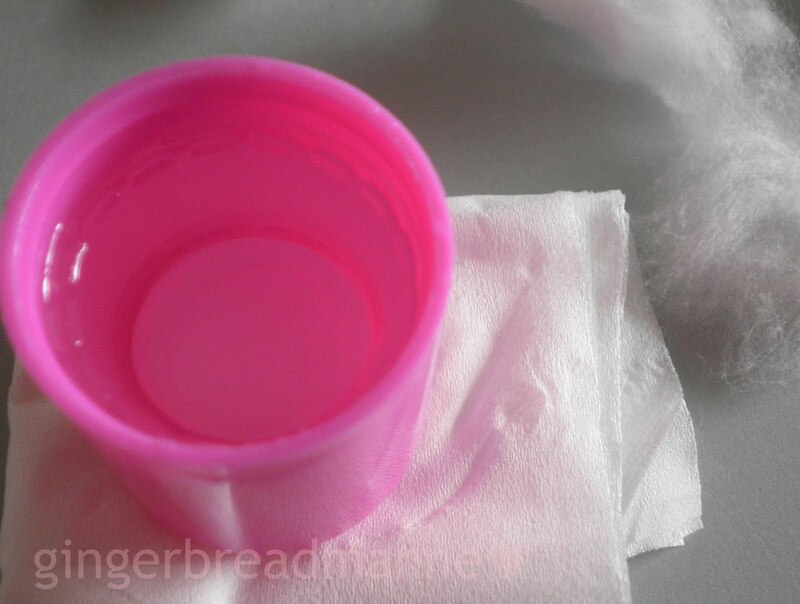 Get your nail polish remover and pour it into the lid and fill it up like so. Nice and smelly. Now take one of those cotton pieces (let's call it CP) and dip it into the remover. Don't dunk it in. Just dip in the edge because the remover will travel up the CP. Too much remover on the CP will dribble like crazy when you're pressing the CP onto your nail. It could travel up your hand all the way to your elbow. Happened to me before. Not a pleasant experience. Press the wet CP onto your nail gently. It should be completely wet and cover your entire nail. Do the same for all the other fingers. I like to do mine one hand at a time because I need the other hand to wipe the CP off. Leave them on your nails for 1-2 minutes, give or take. That's the time where the remover is doing its job. This is similar to soaking your nails in remover but a lot less harsh on your skin. 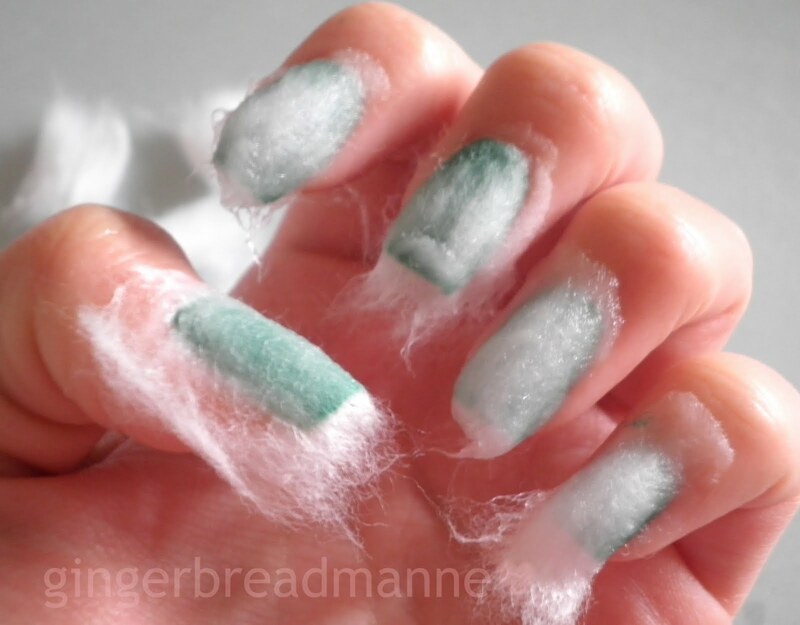 You nails will not absorb the remover. 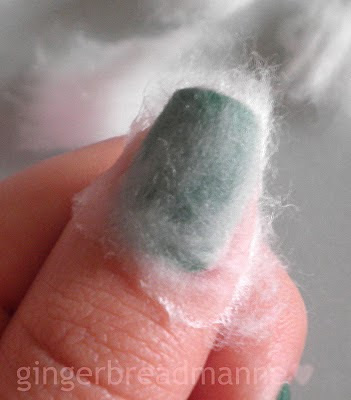 Like I said before, your nail polish would've killed your nails more than the remover. 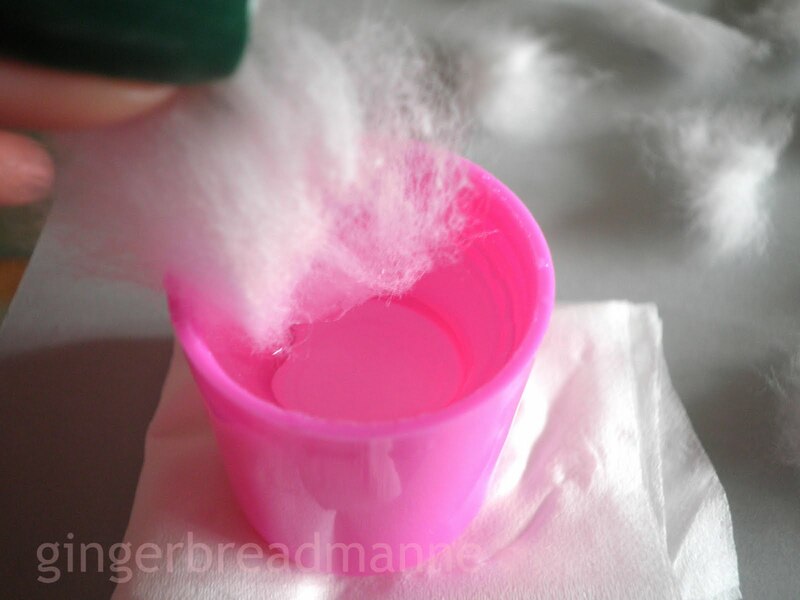 Next, grab a new piece of CP and wipe off the wet CP from your nail while pressing down with some force. Put some muscle into it! 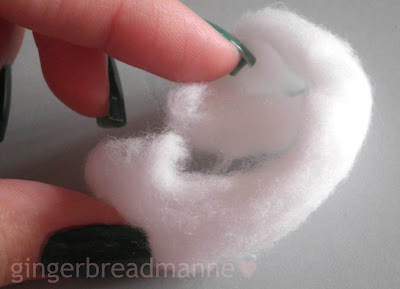 Do it from your nail bed to your nail tip. This way, your nails will not be damaged. 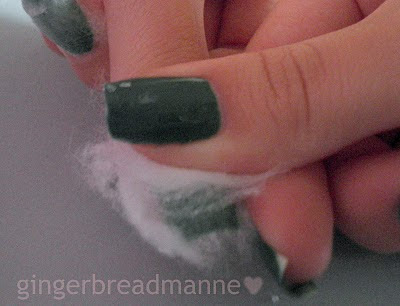 If you do it correctly, almost everything (if not everything) should come right off your nails. I only have some polishes remaining on the sides because my thumb is flat, not curved like my nails, so I couldn't apply enough force to wipe the sides. Now repeat this for all the other nails. This is with only one swipe. My index finger, middle finger and pinky are completely clean in just one swipe! This would've taken forever with cotton buds. 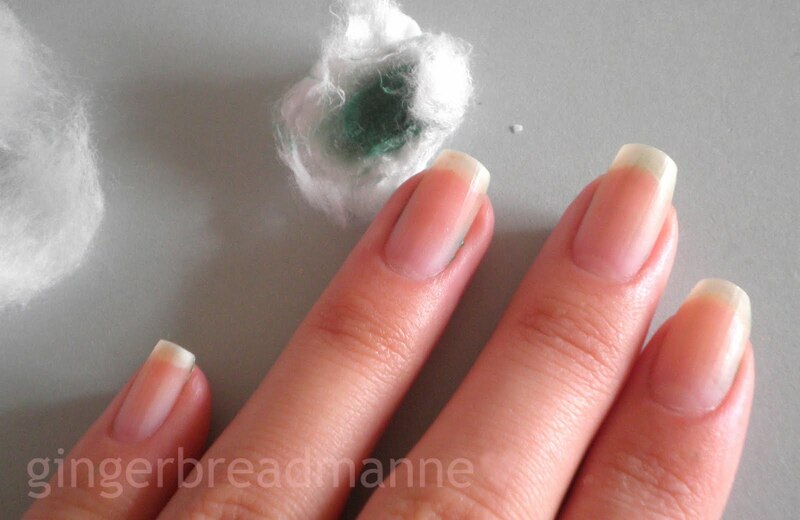 Use your remaining CP to do the other hand and clean up any bits that maybe be left on your nails. In the end, you'd have beautifully clean nails. I even have a strip of CP left over. 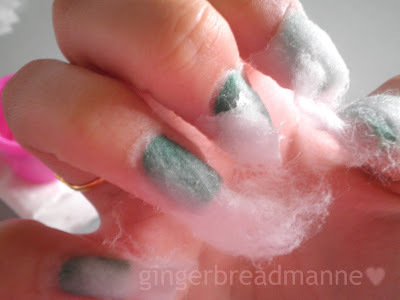 So that means I've used less than 1 cotton ball to remove all my nails. I did time myself and found that I've completed the whole process in under 5 minutes, including the soaking time. So I don't think I'll ever return to the primitive cotton buds method ever again. 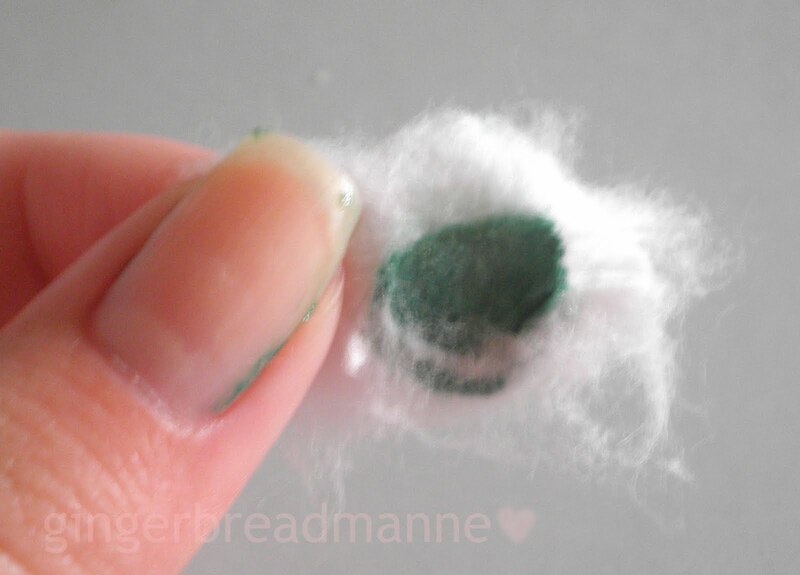 ♥ Never use tissue to remove nail polish. 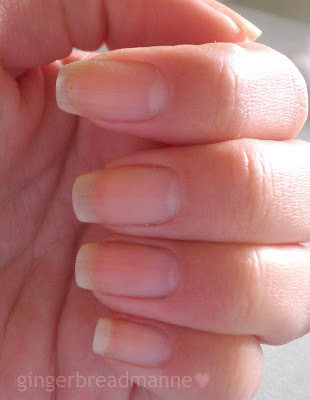 Tissue is actually quite coarse and will damage your nails. ♥ My nails used to peel even when I used cotton buds. With this method, my nails don't peel nor dry out anymore after removal. 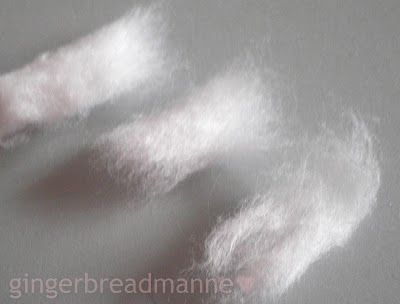 ♥ Always wipe from nail bed to nail tip. Swiping back and forth and/or in the opposite way will make your nails peel.